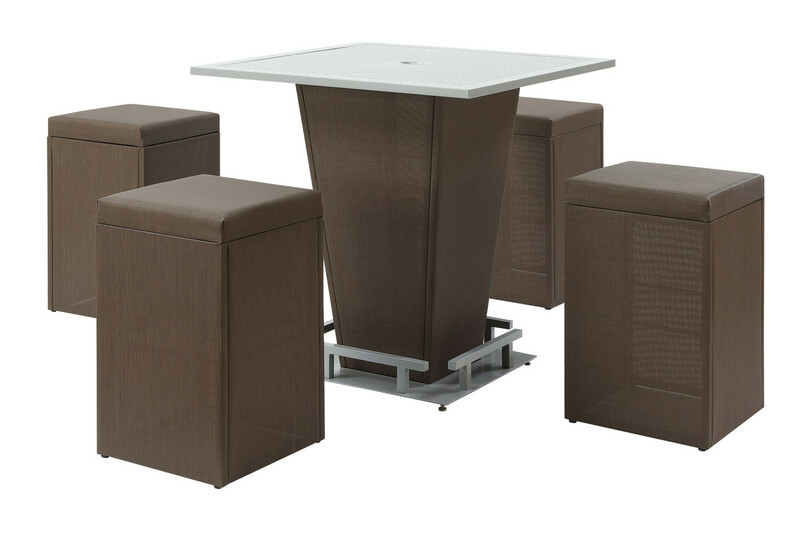 This Emerald Outdoor Bistro Set is the perfect contemporary set for your patio. It is weather resistant and easy to keep clean with just soapy water. The powder-coated frames and durable fabric will give you the confidence to leave this collection out in the elements. Set Includes table and 4 bar stools.